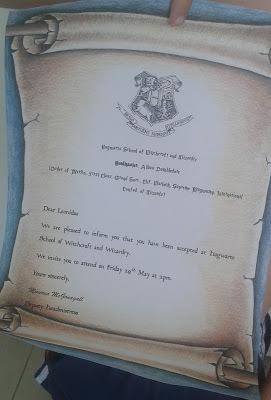 At our recent Harry Potter Party, the definite highlight for the children (and possibly some adults!) 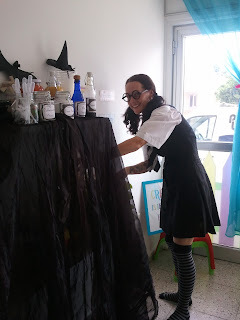 was the Potions Class. Professor Snape fortunately was unable to make the lesson so instead our very own Moaning Myrtle kindly took over on his behalf. We had a magical array of ingredients for our potions experiments, including Dragons Blood, Leech Juice and Floberworm Mucus! The kids, and the adults actually, absolutely loved it! The screams of joy and laughter were quite a surprise to me, but it went down so well! 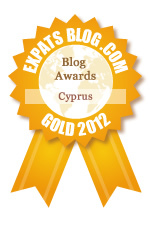 With recent events in Cyprus and the renewedenthusiasm of the possibility of reunification, or at least steps towards it, I have found myself seeking out more information on all things Cyprus related. 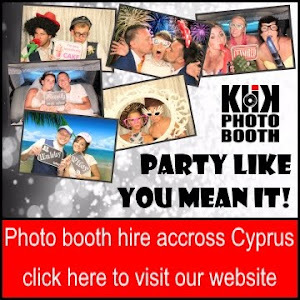 Politics have never been of any interest to me in any way before, but I'm finding myself more and more interested in Cypriot news and recent history. I have been searching for more information on the country, the history and the troubles. Of particular interest to me is the stories of the Cypriots themselves, not the politicans and the soldiers but the everyday lives and the impact of events on them. I now hear of many stories of Greek and Turkish Cypriots living peacefully not only side by side but together as friends and until recently I was not aware that had happened. I had been under the impression that they were always enemies, and it is encouraging to hear that many people see themselves as Cypriot first, Greek or Turkish second. For the last three years, inspired by something I saw on pinterest I have interviewed Leo just after his birthday. After last years 'interview with a 5 year old' I decided to avoid Louka trying to steal the limelight and interview with less distractions! You can't quite hear the first couple of answers which were blue as his favourite colour - a strange answer when everyone who knows him knows its ALWAYS red! His favourite toy was something random but is his light saber, wand and time turner. I'm also not sure why he answers them all in a funny voice! I love the fact that at the last question he looks at Aaron who was sitting opposite him - I'd assumed he would say photographer (like Daddy) but impressed he instead said 'Klik Photo CY' with great enthusiasm, he's learning the art of promotion already. 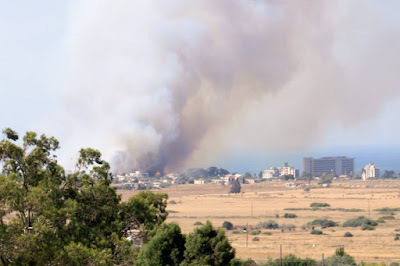 Today was a strange day, today we watched as part of Varosha, (the abandoned city in Famagusta which is under control of the Turkish military) was engulfed in smoke as a large fire spread through the empty city. I noticed the smoke around 3.30pm and rushed to the balcony surprised to see anything happening in the area which has been deserted for almost 41 years. The flames were fierce and the smoke was intense and we could see that it must have been covering a large area. Since the Turkish invasion of 1974 the area has been off limits to all but a few UN personnel and heavily monitored by soldiers. I have always been an avid reader and yet apart one a couple of instances of writing something in return for a copy of a book, I've never felt the urge to comment on one before. That is until I read 'The Sunrise', a novel by Victoria Hislop set in Famagusta, Cyprus and centered around the Turkish invasion of 1974. 'The Sunrise' tells the story of three families in Famagusta from the sunny days of 1972 when tourism brings riches to Cyprus, to 1974 when a Greek coup forces the island into chaos. Greek Cypriots flee in one direction, Turkish Cypriots flee in the other, and the Turkish army invades under the pretext to protect the Turkish Cypriot minority. The city of Famagusta empties as people run for their lives. As much as I love my parties, and the planning of them it usually all falls down around the actual creating of stuff - decorations, cakes, favours etc. When I get a theme in mind I head straight to pinterest and get tons of cool ideas and then realise that have neither the patience or the creativity to actually produce them. This year however, for Leo's 'Harry Potter' Party it was different - inspired by my geeky love of Harry Potter and my friend Sam's creative encouragement we created a masterpiece! 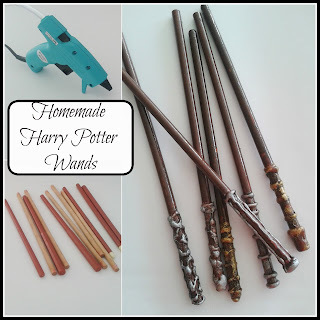 First up was the all important wands - as I'm sure you know its the wand that chooses the wizard and no wizard or witch will ever be without their wand! As we approach the start of the summer holidays in less than 2 weeks and the start of nearly 3 months off school, it's time to start thinking once again of summer plans. They need, as ever to be mainly low cost or preferably free so when it comes to leaving the house it pretty much means one thing - water! 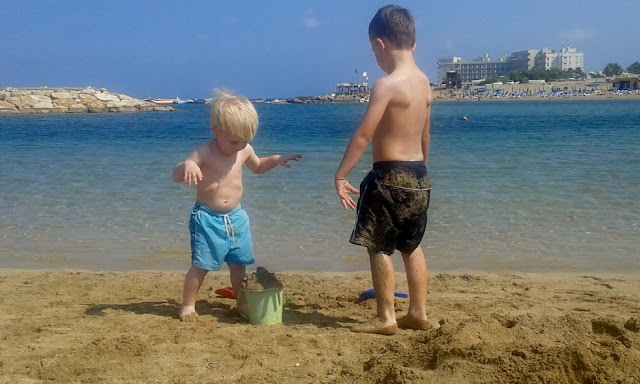 This year I've decided it's all about the beaches, we have been in Cyprus coming up 6 years now and have spent a shockingly small amount of time going to the beach. For me babies and beaches do not go well together - buggies and sand are a back breaking slow going process, and trying to clean up sandy babies that are trying to eat the sand is just not my idea of fun. Add that to the stupid amount of stuff you seem to end up carrying and it's more of an ordeal than a fun afternoon out! I'm not sure exactly when the current Harry Potter phase started in our house or exactly why it came about, but really I guess it began a long time ago when I first read the books, watched the films, read the books again (and again) and fell in love with JK's magical wizarding world. For Leo (and by default also Loukas) it began with the Lego Harry Potter game on the wii. He had played and enjoyed Lego Batman, in fact that was why we had a Lego party last year. The Lego games are brilliant, and such good fun that I often play with him so when I found the Harry Potter one I was really excited. Yes, I did say I was really excited! Leo having no idea who Harry was, was not initially sharing my excitement but of course it didn't take long for him to like it. Each year, sometime towards the end of January once Christmas becomes a distant memory the thought of the next event pops into my mind. For the last two years I've had the Famagusta Parents Network fun day to plan for but among that Leo's birthday ideas start to come to me. His birthday is in May, but once the idea takes hold I can't resist a little peak at pinterest and then I can't help but quietly put a bit of a plan into action! Over the years we have had a Thomas the Tank Engine party - Leo was too young to choose a theme but he was SO into Thomas it couldn't have been anything else. 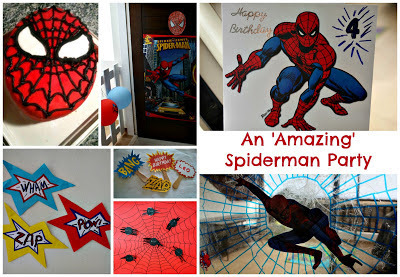 Then for his 3rd birthday we touched briefly on Mike the Knight, (my suggestion, he liked it for a bit but went off him very quickly), he then asked for Buzz Lightyear party, months in advance of his birthday but as we approached May, Spiderman was his favourite thing so Spiderman party it was.